BYOA: Bring Your Own Art Night – Share Your Work! Calling all artists! Join us on Wednesday, January 20 at 5 pm, and bring one of your works to share. Depending on the number of registrants, we will be in one large group or artists will be put into small groups to facilitate discussion. MCASB Associate Curator Brooke Kellaway and guest curators will be on hand to lend their voice to the discussion. Admission: $20 for MCASB Members, $25 for non-members. Register for Event: BYOA: Bring Your Own Art Night – Share Your Work! 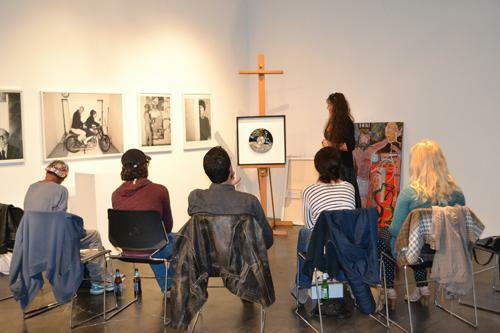 Your ticket for the: BYOA: Bring Your Own Art Night – Share Your Work!